Top 10 life casting mistakes & how YOU can avoid paying for them. Impressive Memories prides itself on T.H.I.S. Teach what you, the customer, needs to know. How to avoid paying for mistakes – it can be heartbreaking & an expensive mistake. Insight into what to look for & the questions to ask. Satisfaction & a beautiful keepsake that will last a lifetime. Life casting is my absolute passion – some might say I’m obsessed, I’d wholeheartedly agree. 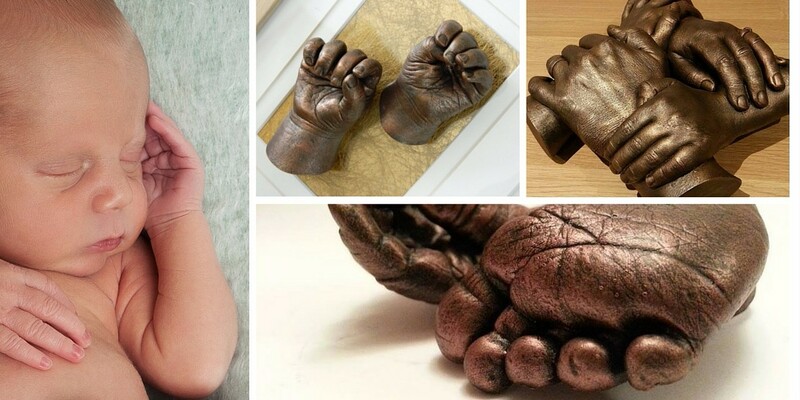 I first discovered life casting back in 2003 when I had my daughter and I invested in a kit to create casts at home. The kit promised me that I’d “create 3 immaculate castings from the comfort of your own home”. Three lumps of plaster with things that looked vaguely like toes! I had expected to see my baby’s beautiful wrinkly toes and her tiny fingernails. I was artistic, I’d watched the instruction video (twice), I had higher expectations than I had writing my birthing plan!! I’d created an entire human being – how hard could it be to make a life cast of her??? I was a mother now…I could do anything…(well except breastfeed…I was rubbish at that…but that’s another story). Now fast forward to 2016. I have devoted 13 years to life casting. I have learned from the best, and I’ve witnessed the worst. I’ve grown from being a hobbyist to running a full-time, successful business – somewhat niche – and I am still crazy about casting. Recently I’ve noticed that life casting has had a surge of popularity – this is excellent!! I am all in favour of teaching the world the joys of casting…and I never want anyone to feel disappointed or ripped off, the way I had felt…which is why Impressive Memories prides itself on T.H.I.S. Transparency Honesty Integrity & Skill. Are you thinking about having casts taken? Do you want to invest your money wisely? Is the value of the item as important to you than a price tag? Do you like to make informed decisions based on your knowledge? How can YOU avoid these mistakes? How will you feel in years to come if they crumble? 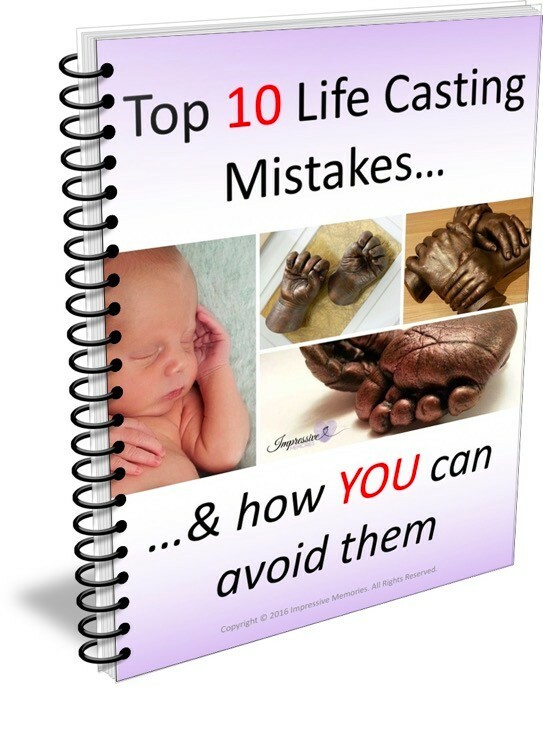 This FREE downloadable guide tells you the top 10 life casting mistakes that I think you should be aware of. You deserve to avoid paying for mistakes – not just financially, but also emotionally. YOUR moments are far too valuable to risk losing. it is worth investing 5 mins to read through this first. How can I spot signs of an inexperienced life caster? Who is the best life caster for me? If you’d like a copy of this sent to you, just pop your details below and I will send it to you. Don’t worry…I won’t send any junk and if you’d like to unsubscribe at any time, it’s just one click. Your details will never be used anywhere else or passed to any other person. ← Thinking about having Jewellery made?